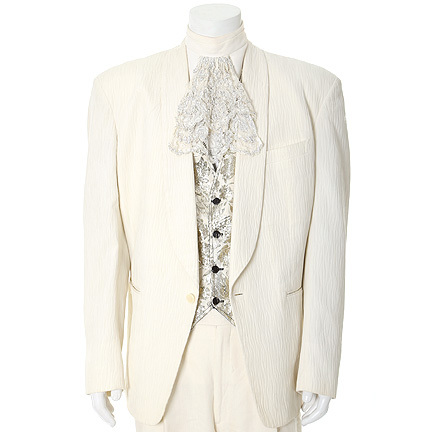 This costume was worn by legendary comedian Bill Murray during an appearance on the 20th Anniversary of “Late Show with David Letterman”. 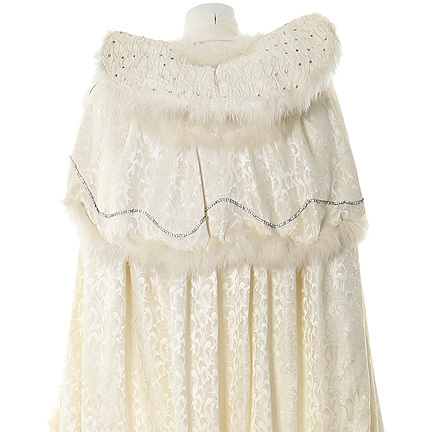 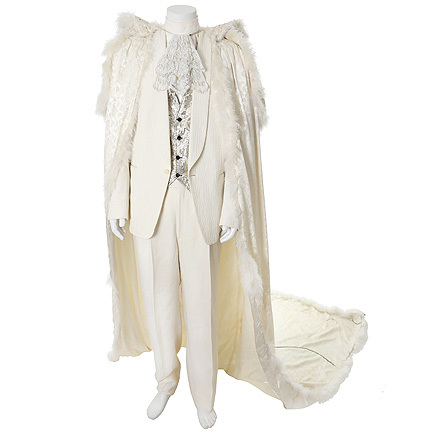 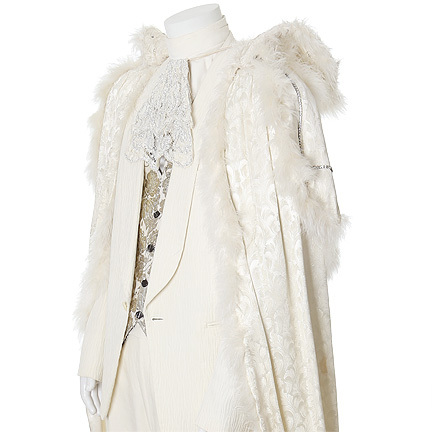 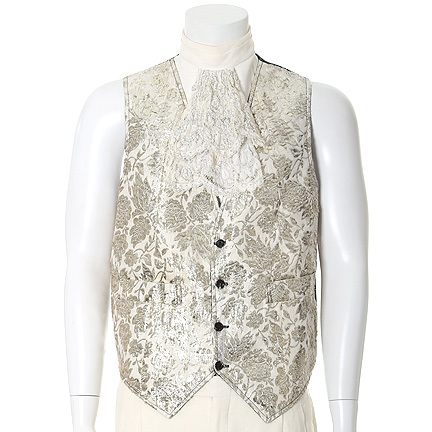 The costume consists of a white jacquard satin cape with rhinestone detail, stand collar, and feather trim, white and black turtleneck dickey with ruffle flounce, white and black metal silver floral vest, and white cloque cotton polyester single button sport jacket. 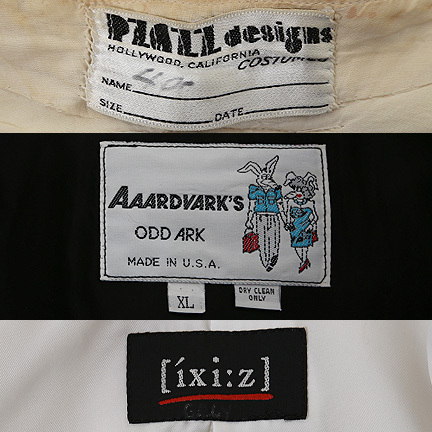 The ensemble includes labels from “Pzazz Designs”, “Aaardvark’s Odd Ark”, and “ixi:z”. 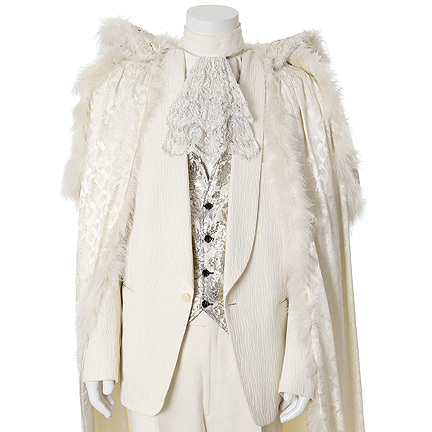 Mr. Murray can be seen wearing this extravagant costume as he is driven on stage in a white Rolls-Royce car, wearing a toupee and carrying a toy poodle saying, “I had to get something that went with this outfit”. 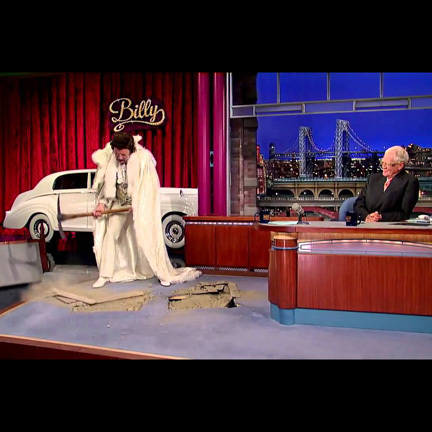 Upon entering with fanfare, he goes on to inform David Letterman that he’d buried a time capsule twenty years prior and uses a jack-hammer to unearth mementos from two decades ago. 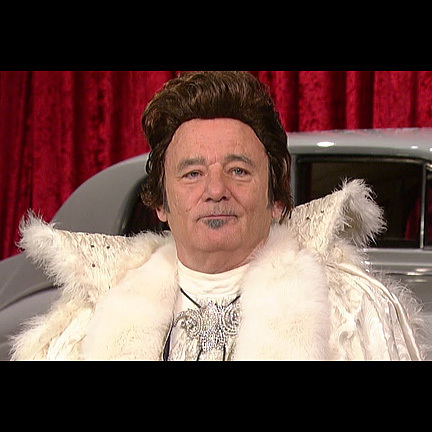 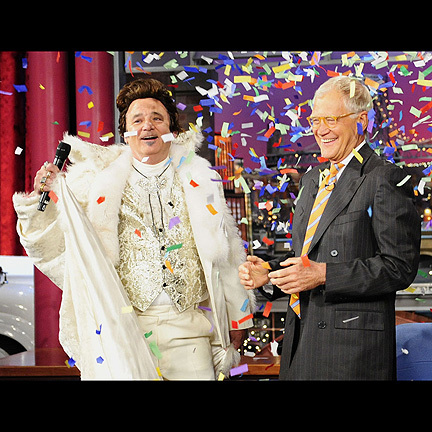 The show premiered on August 29th, 2013 (Season 20 Episode 3897), marking twenty years since Bill Murray himself first appeared as Late Show’s first guest on August 30th, 1993. 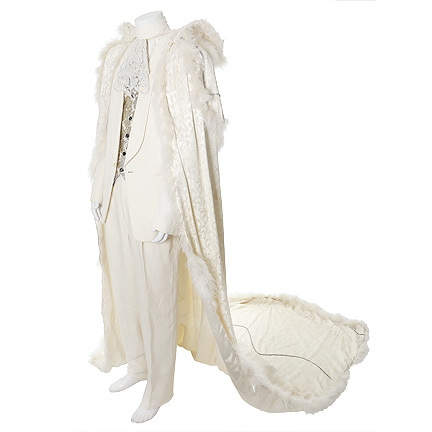 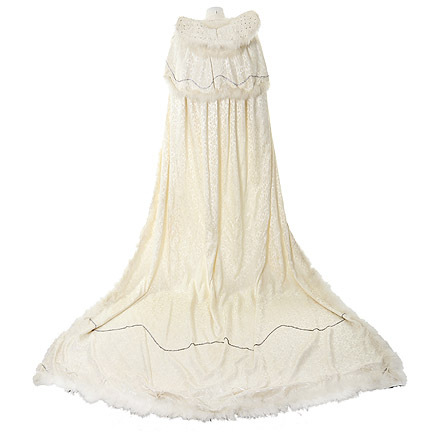 This costume is accompanied by a letter of authenticity from the costume house.